When Columbus came to America in 1492, he brought numerous discoveries back with him, one of which was corn. 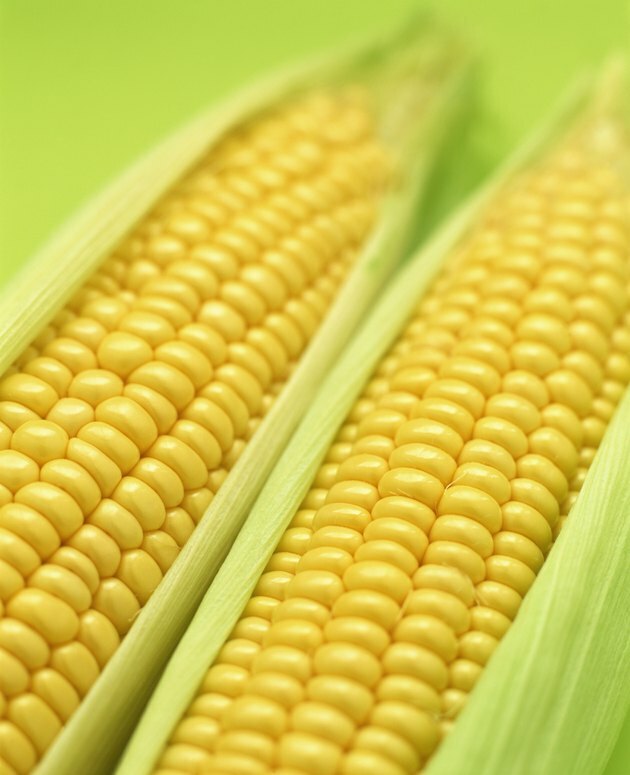 Originally from Mexico, corn's versatility quickly made it an important food crop throughout the known world and one that is still widely used today. Boasting high amounts of fiber, iron and vitamin A, corn is a healthy and flavorful accompaniment to meals or a satisfying snack all by itself. If you have cooked too much corn, resulting in leftovers, it's also a convenient vegetable to reheat for use when you need it. Wrap individual ears of corn on the cob in damp paper towels. Place the wrapped corn onto a microwave-safe plate. Place the plate into the microwave and set the machine's power to 50 percent. Heat the corn for 2 minutes. Remove the plate from the microwave and unwrap the corn. Season the corn to taste with salt, pepper and butter, and serve while it is still hot. Transfer the corn kernels to a microwave-safe dish. Place the dish into the microwave and adjust the machine's power to 50 percent. Heat the corn for 1 minute. Stir the corn, adding butter if desired. Continue heating the corn for another minute and serve immediately while it is hot. Check the corn's temperature with a food thermometer. Heating food to 165 degrees Fahrenheit is optimal for killing off bacteria. If you don’t have a microwave, heat corn kernels in a pot on the stove over medium heat. Similarly, place corn cobs into a pot of water, bring it to a boil and allow them to simmer for 3 to 5 minutes. Store previously cooked corn in the refrigerator for up to two days before using or discarding it.